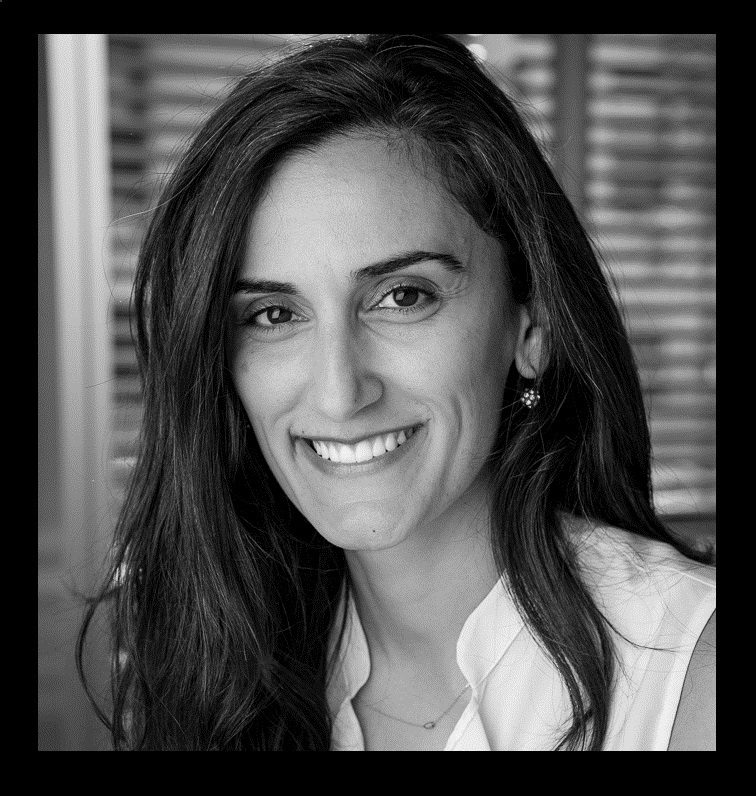 Canan Dagdeviren has joined the Media Lab as an assistant professor in the Program in Media Arts and Sciences, where she leads the new Conformable Decoders research group. The group aims to convert the patterns of nature and the human body into beneficial signals and energy. 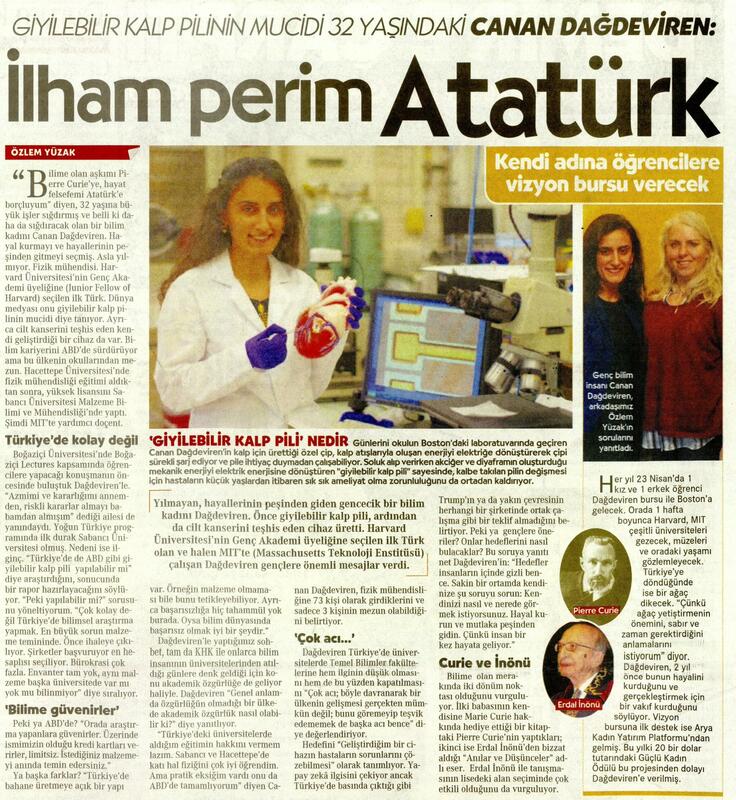 Born in Istanbul, Turkey, Dagdeviren earned her PhD in materials science and engineering from the University of Illinois at Urbana-Champaign, where she focused on exploring patterning techniques and creating piezoelectric biomedical systems. Her collective PhD research involved flexible mechanical energy harvesters, multi-functional cardiac vessel stents, wearable blood pressure sensors, and stretchable skin modulus sensing bio-patches. As a Junior Fellow of the Society of Fellows at Harvard University, she conducted her postdoctoral research at the MIT David H. Koch Institute for Integrative Cancer Research, working on designing and fabricating multi-functional, minimally invasive brain probes that can simultaneously deliver drugs on demand and electrically modulate neural activity precisely and selectively for the treatment of neurological disorders, such as Parkinson’s disease. At the Media Lab, Dagdeviren’s Conformable Decoders group is working to create mechanically adaptive electromechanical systems that can intimately integrate with the target object for sensing, actuation, and energy harvesting, among other applications. Her research is built on the belief that vital information from nature and the human body is ‘coded’ in various forms of physical patterns, and that conformable decoders can ‘decode’ these patterns into beneficial signals and/or energy. Dagdeviren’s work has been featured in many media outlets, including Smithsonian Magazine, Popular Mechanics, CBS News, the LA Times, BBC News, New Scientist, IEEE Spectrum, Physics World, and Nature Materials. In 2015, MIT Technology Review, named her among the "Top 35 Innovators Under 35" (inventor category) and Forbes magazine selected her as one of the "Top 30 Under 30 in Science." Recently, Dagdeviren has been named as a Gifted Citizen by Ciudad de las Ideas of Puebla, Mexico, Spotlight Health Scholar by Aspen Institute and World#1 in Medical Innovation Category of Ten Outstanding Young Persons of the World (TOYP) by Junior Chamber International (JCI). 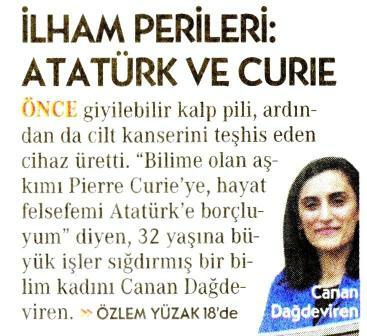 On 9th of Dec, 2016, Dr. Dagdeviren was awarded with Science and Sci Life Prize for Young Scientists in Translational Medicine Category and invited to attend Nobel Prize Ceremony in Stockholm, Sweden.